What makes for a perfect European vacation? A visit to the Eiffel Tower? Been there, done that, right? What about a trip to an English pub? That’s pretty tired, too, isn’t it? Instead of hitting the usual spots, take a European beach vacation at one of these gorgeous (and unique) beaches. Who says beaches have to be made of sand? One of the best beaches in Europe has rocks instead of sand, and you have to embark on a two-hour hike or a boat ride to get there. OK, you’re probably feeling a little tired thinking about the trip, but when you see the destination, you’ll realize it was well worth a blister or two. This little beach is located at the end of an inlet, and you’ll be surrounded by white limestone cliffs that contrast perfectly with the blue Mediterranean. Cliff diving is a popular pastime here, so see if you can muster the courage to join in the fun. England probably isn’t on your list of top beach vacations, right? The country might not be known for its breaches, but that’s just because Durdle Door Beach is such a well-kept secret. Ask the locals about it, and they might try to change the subject because they don’t want the tourists to take over. Now that you know, though, add a visit to your travel plans. Hit this beach in the summertime, so you can take a swim underneath the huge rock arch. If you go later in the season, go for a hike along the cliffs, where you can enjoy sights of the Jurassic Coast. Troia Beach is located about an hour from Lisbon, and you can easily catch a ferry out of Setubal to get there. Once you arrive, you’ll be treated to soft white sand that stretches for miles, calm waters, views of the mountains, and pine forests. If you want to mingle with others, grab a patch of sand close to the ferry stop. If you prefer a little secluded fun, just walk down the beach after the ferry drops you off. It’s easy to find a quiet little spot for sunbathing and splashing around. The sandy beaches in Croatia might be few and far between, but when you find one, you’re in for a treat. That’s especially true when it comes to Livacina Beach. This gorgeous sandy beach has shallow waters, a shady pine forest, and tons of sand. It’s also surrounded by restaurants and bars, and it always draws in a crowd. Do you want to dip your toes into the nudist lifestyle, so to speak? Plaka Beach is a great place to give it a try. This used to be solely a nudist beach, but now, it caters to people of all flavors, including those who want to stick to a truly vanilla beachgoing experience. This beach has more to offer than a clothing-optional experience. It has gorgeous white sand, calm waters, and lots of beach bars. Plus, it has little coves where you can escape for some privacy. Do you prefer to keep your clothes on during your beach trip? How about a snowsuit? 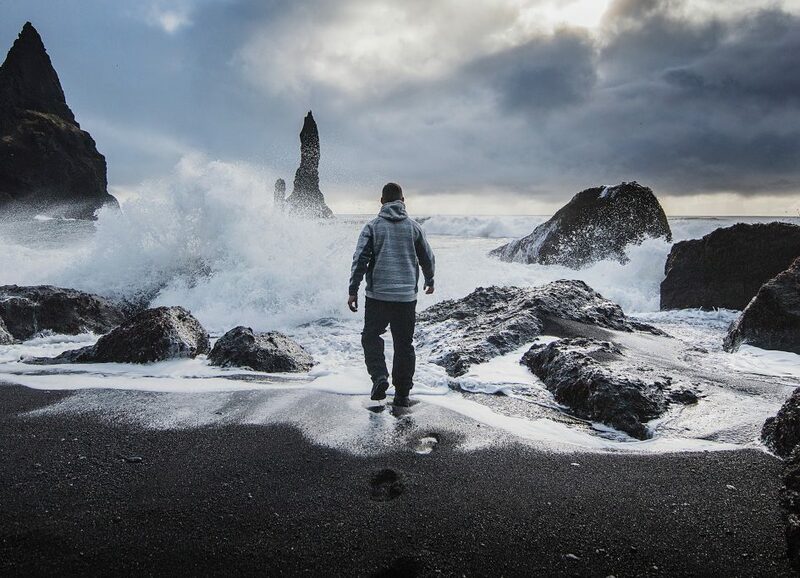 You might need it to go to Reynisfjara Black Sand Beach in Iceland, but if you’re willing to brave the cold, you will be rewarded. This black sand beach has lava formations, caves, and huge cliffs. Just don’t expect to dip your toes in the water. This beach is for sightseeing, not for splashing around. You know a beach is amazing when it’s located 100 miles off the coast and still manages to bring in lots of beachgoers. That’s what you’ll find at Rabbit Beach in Lampedusa, Italy. The shallow waters are calm and clear, and you can wade out far into the bay. Bring more than your swimming gear, though. Snorkeling is a must if you make the trek to Rabbit Beach. It’s a nesting site for Loggerhead sea turtles, and you’ll want to take a look during your trip. If you’re looking for a beach party, add a trip to Nissi Bay Beach to your travel itinerary. This beach has two sections of soft sand and pale blue water, and it’s a hub for the area’s best nightlife. From DJs to foam parties, there is always something going on at this beach. When you aren’t dodging the foam, check out the views. The scenery here is out-of-this-world. The name says it all. Oludeniz means “blue lagoon,” and the water here is so rich with color that you’ll feel like you’re in a postcard. The blue isn’t the only color that pops on Oludeniz Beach. It has lush greenery and sparkling sand, and you’re sure to spot the bright colors of parachutes as paragliders fly by. Snorkeling is another popular activity here, and you can swim in the beautiful waters. Don’t worry, though. You don’t have to be active at this beach. Pick out a warm patch of sand and watch others engage in some water activities. When imagining the complete beach experience, Playa de Migjorn is exactly what you’re picturing. You can rent a chair and an umbrella, stake a claim on the sandy beachfront, and order a drink from the beverage service. You can also take in a game of beach volleyball or go for a short walk to find a secluded area. This is the type of experience you see in the movies, and you can enjoy it for yourself when you come here. With so many beautiful beaches to enjoy, you need to start making some plans. Which beach do you want to go to first? Plan for that trip, and then continue down the list until you’ve visited each one.